As is the tradition at Power Morphicon, the cast of the next season of Power Rangers has been revealed! Power Rangers Beast Morphers follows the story of 3 Rangers who combine the power of the Morphin Grid with Animal DNA to fight against the sentient Evox computer virus with the help of their Beast Bots sidekicks! At this time the names for their characters have not been revealed. You can catch these new members of the Power Ranger family on Power Rangers Beast Morphers on Nick in 2019! Who is your favorite member of the Beast Morphers team? Are you going to watch this new season in 2019? Leave a comment down below! Thanks to @MisturYellow on Twitter for pointing us towards the cast images! 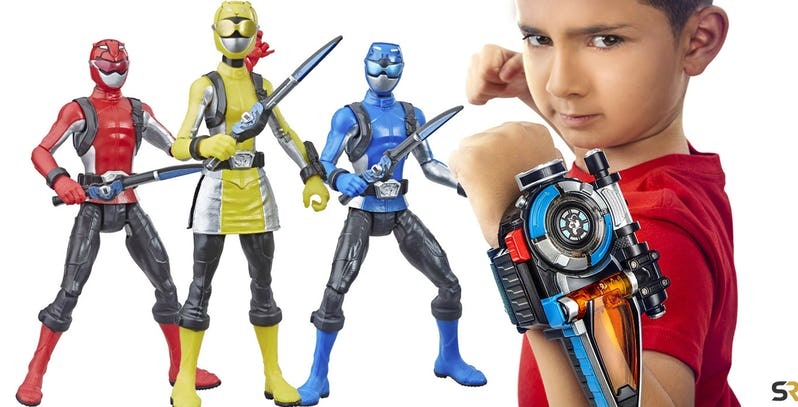 Saban Brands have topped yesterday’s Hasbro license news and thrown us a major curveball in the form of a Go-Busters adaption for Power Rangers. Earlier today, it was confirmed over the official Power Rangers Twitter that the 2019 season of Power Rangers will be “Power Rangers Beast Morphers”. Previously thought to be ignored, the season will be adapted from the 2012 series “Tokumei Sentai Go-Busters” making this season the biggest gap between the original and the adaptation. This will also be Hasbro’s first season, since they were recently awarded the license earlier this week. You can expect more details in the coming weeks. What do you think of this surprising announcement? Let us know in the comments!